National Curriculum 2014 programmes of study describe the development of art and design through both investigating and making, and knowledge and understanding. 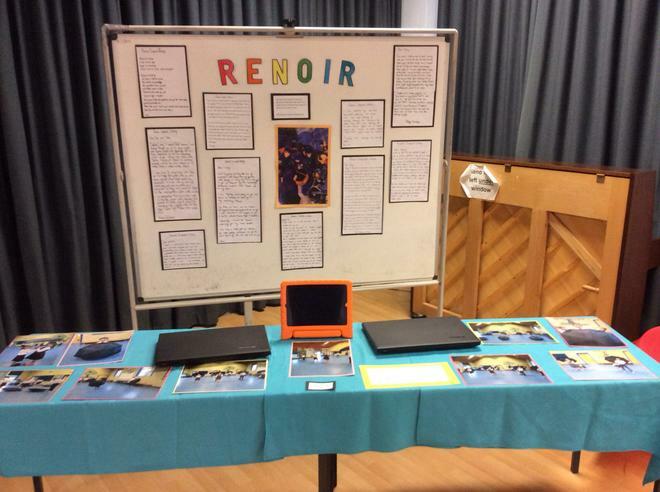 Our objective is to develop the use of a wide range of skills and materials. 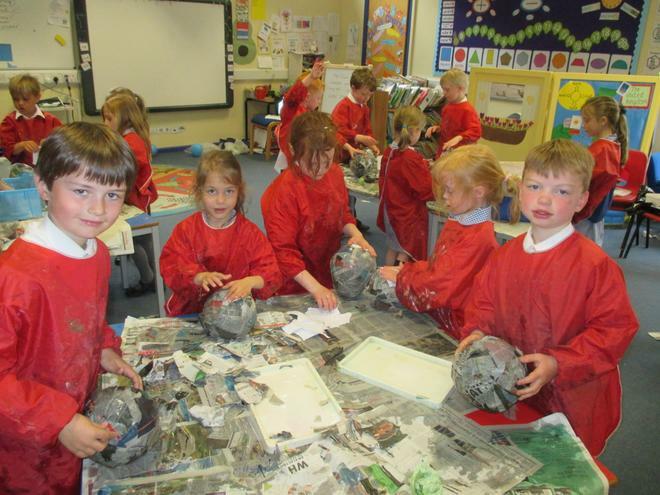 The children are introduced to many different media including paint, crayon, chalk, clay, plasticine, papier-mâché, card, fabric and natural materials. 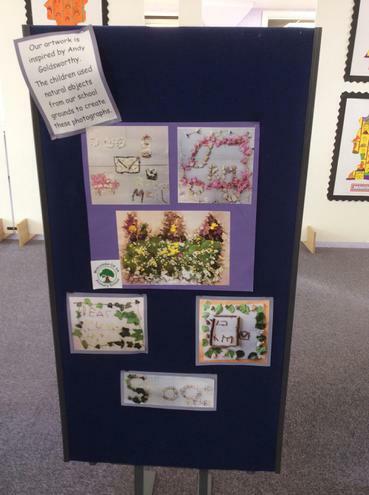 The children explore the texture and qualities of these materials by making models, pictures and designs; they develop fine manual skills using brushes, scissors and other appropriate tools, and find pleasure working with their hands. 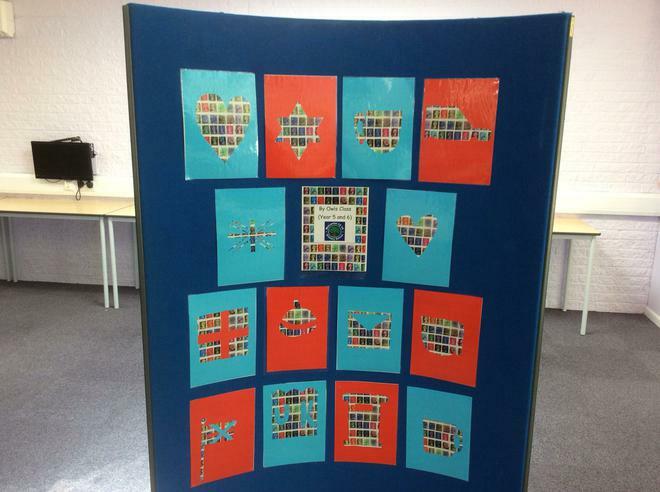 The skills covered include sketching, painting, pattern-making, cut paper work, printing and needlework. An appreciation of the history of art is given through the styles of various artists. 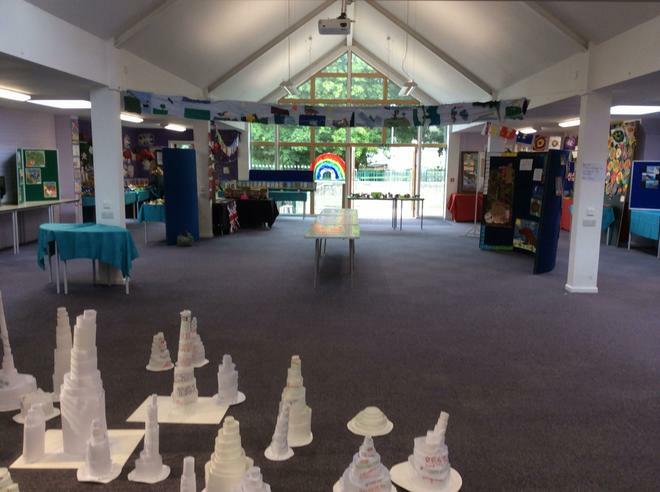 On a rainy day, Mrs Dawkins returned to school to add the amazing bottle birds made by different classes to the structure on the school field. This is a 'work-in-progress' and will continue to develop over time. 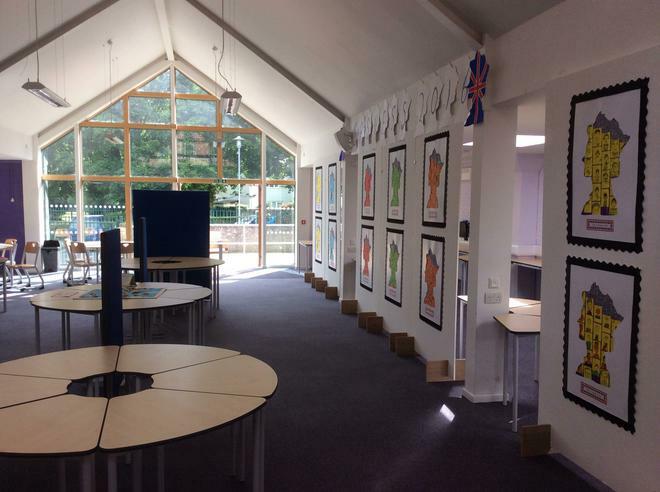 It is lovely to see so many children and adults contributing to a group installation artwork. We were lucky to have Mrs Dawkins visit. She taught us about the need to recycle and how items that are normally thrown away can be used to create wonderful artwork. 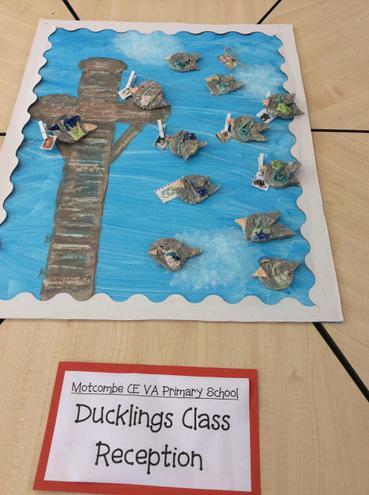 We used plastic milk bottles to make birds which we added colour to using paint and PVA glue. Then, we went outside and 'flew' them! We were happy to discover that they could 'fly' quite far! 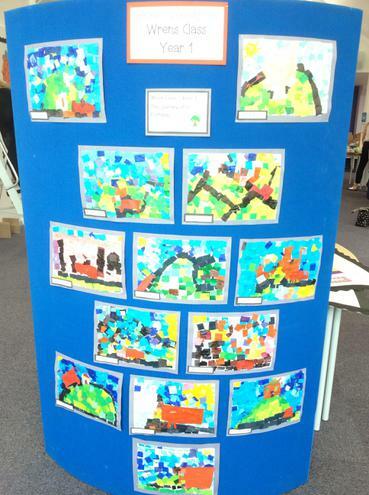 We also worked with Miss Purdue and Miss Berry to create a giant fossil-inspired mixed-media collage. 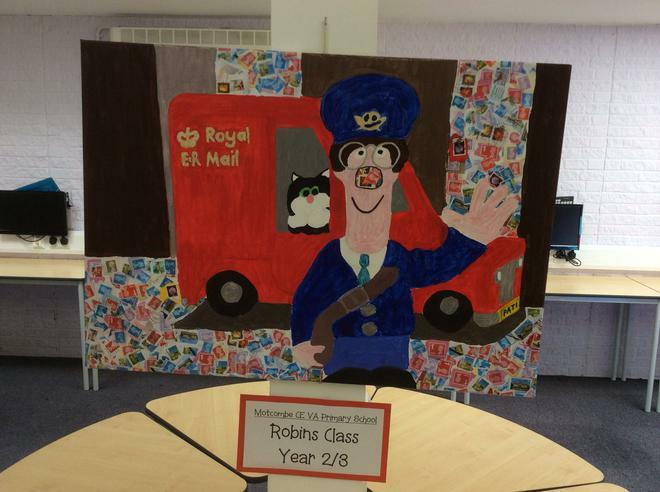 Every child in class contributed to this artwork and we feel very proud of the beautiful picture we created. 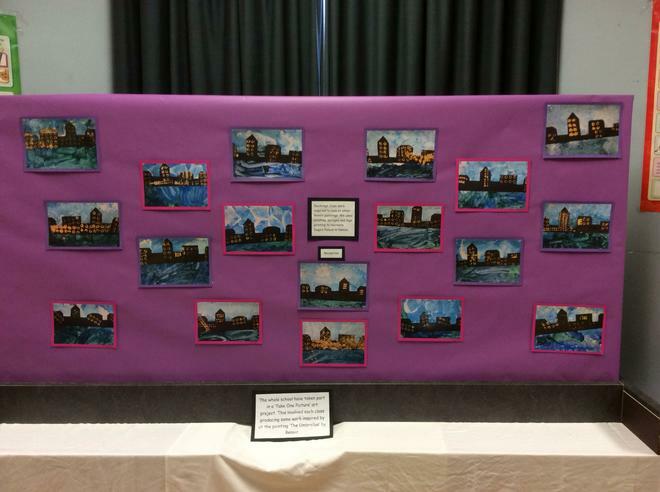 It is hanging in the school hall so feel free to take a look! We have been looking at the stages of fossil formation in our science lessons and it was fun to focus on dinosaurs. 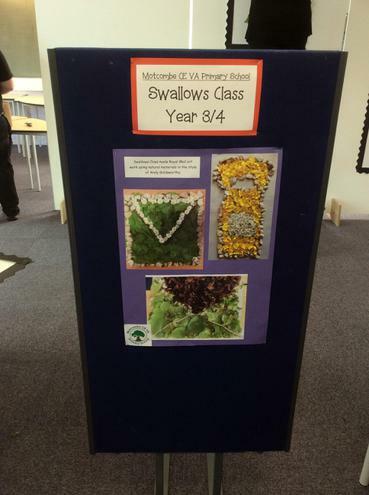 Swallows made a large piece of art work with Mrs Polly Hughes after listening to Habanara. 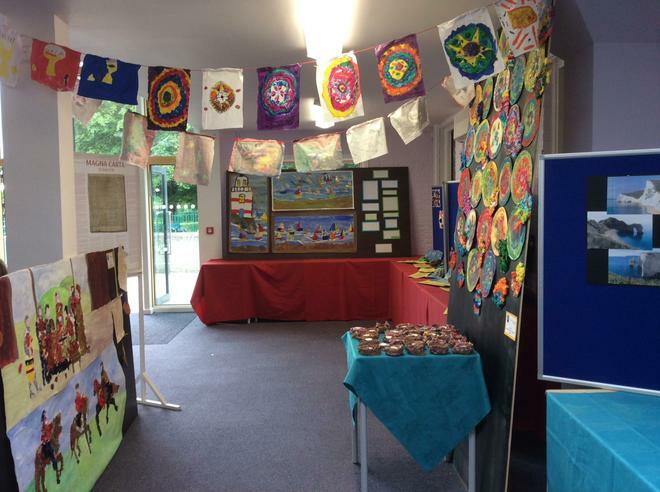 The art work will be displayed at the Festival in the Field concert where some of the children will be performing in the orchestra. 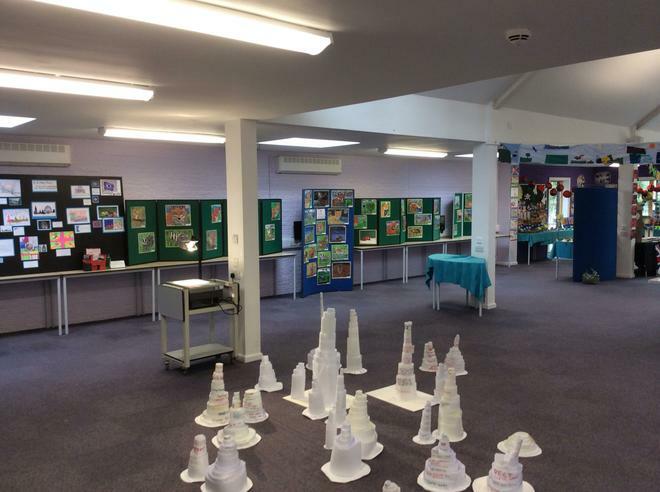 Shaftesbury Pyramid Schools Art Gallery was a huge celebration of Art and Design from across 6 primary schools. 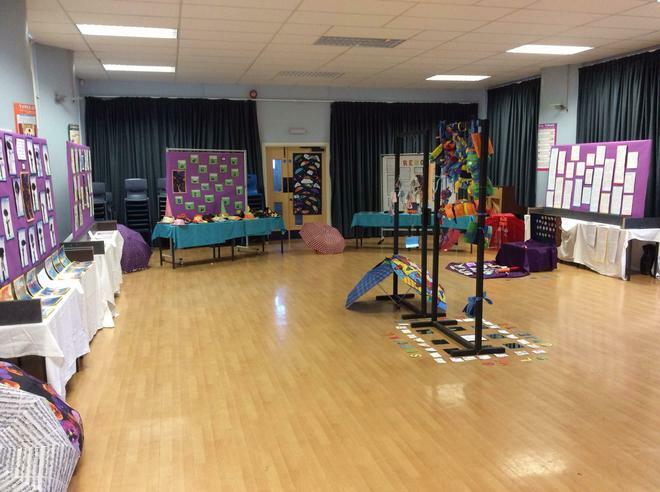 The gallery was open to parents and the public and was held at Shaftesbury Secondary school. 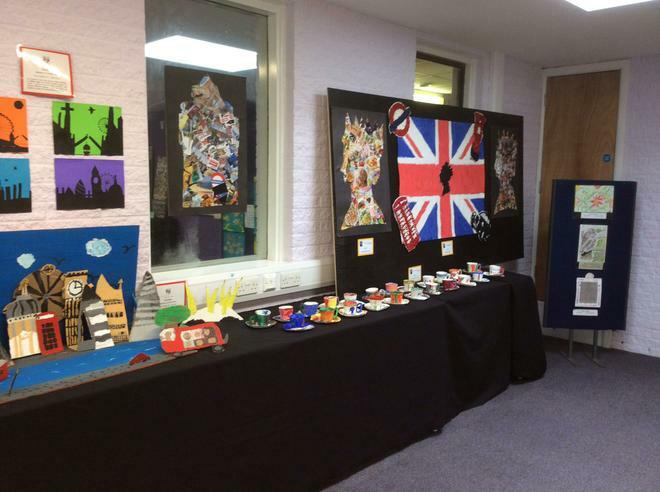 There was a range of different mediums of art surrounding the theme 'Living in Britain'. 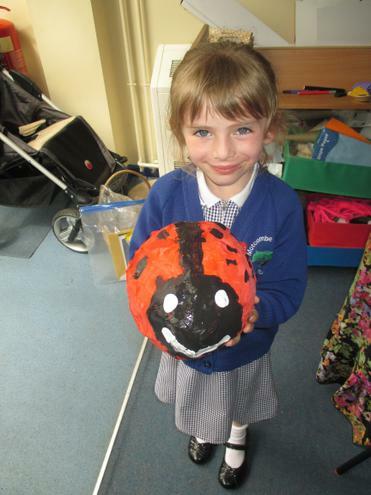 Sculptor Mrs Dawkins-White has worked with both Robins class and Wren class this Summer term. 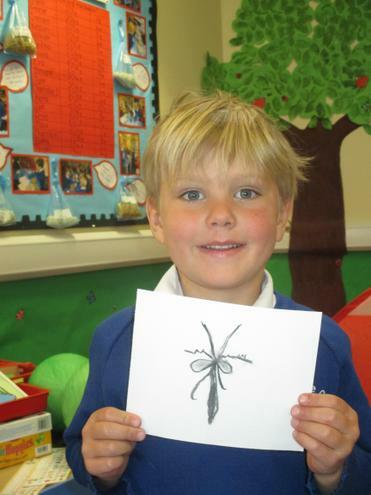 Wrens class have created some beautiful lettering and minibeasts for the spiritual garden. 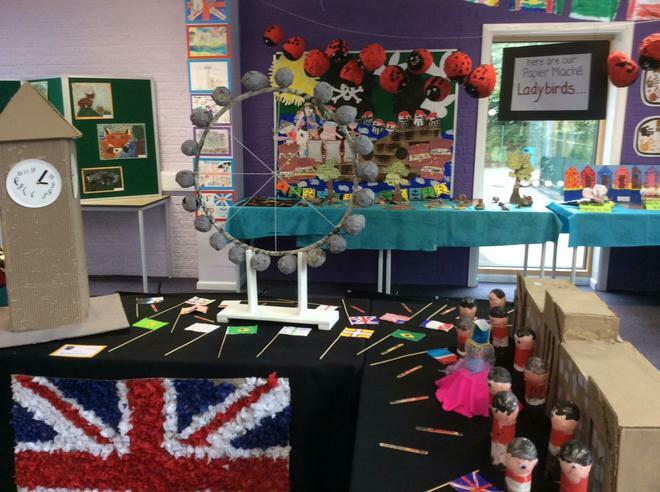 Robins class have created Shaun the Sheep models inspired by the current London exhibition. 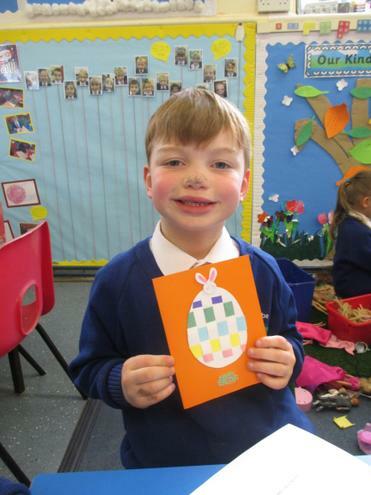 KS1 children have been very busy during Enrichment on Friday afternoons! 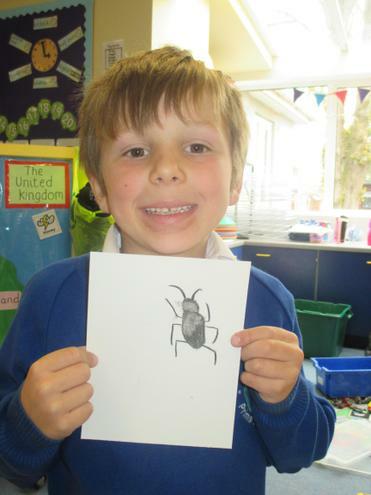 Papier mache, weaving and sketching are skills that they have recently practised! 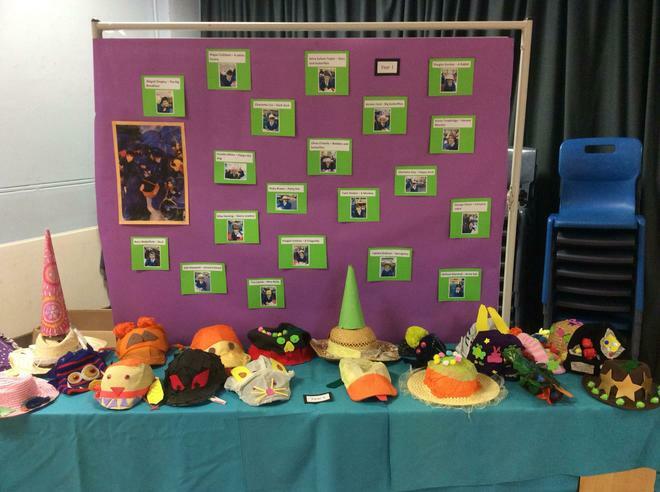 A selection of arty displays around school this Spring. 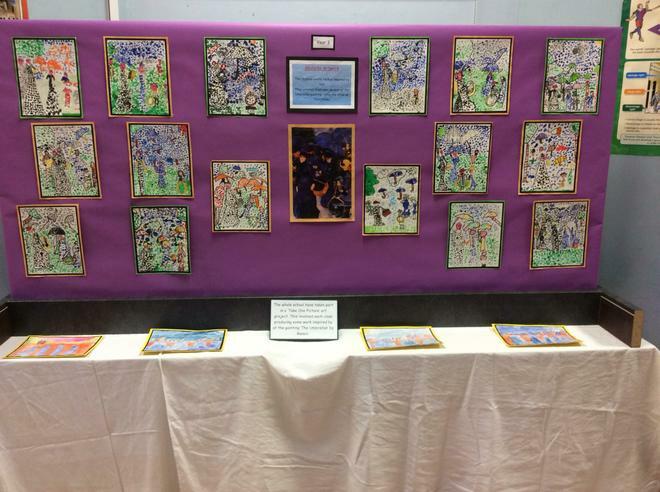 All our Renoir gallery work has been displayed in school, the Firebird KS2 project led by Ms Graves is displayed in the corridor, Frozen animals by Wrens and Prayer pebbles in the entrance hall! 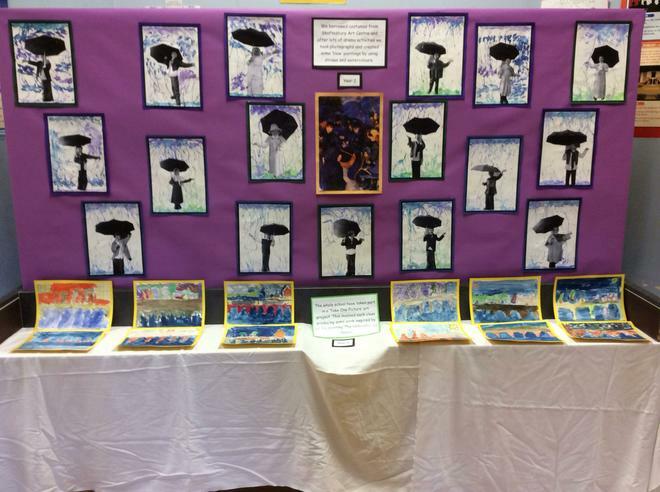 The whole school participated in a 'Take One Picture' project, where each class produced art work inspired by Renoirs 'The Umbrellas' painting. 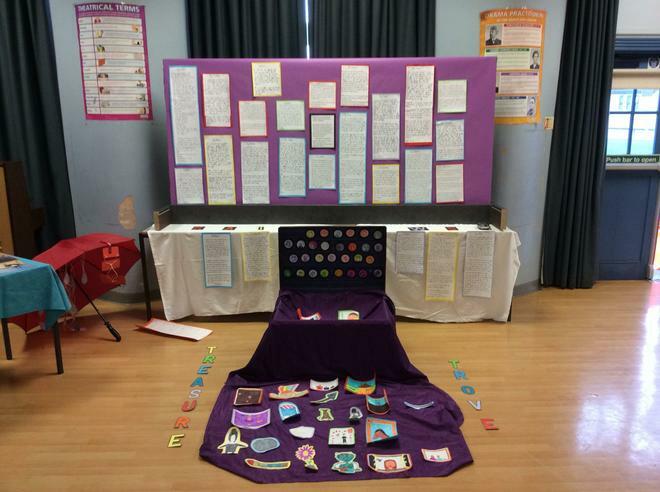 The childrens work was then displayed for parents and guardians in an Art Gallery at Shaftesbury Secondary school. Roy Lichtenstein inspired lifesize artwork! Mood tress inspired by text 'Voices in the Park' by Anthony Browne.